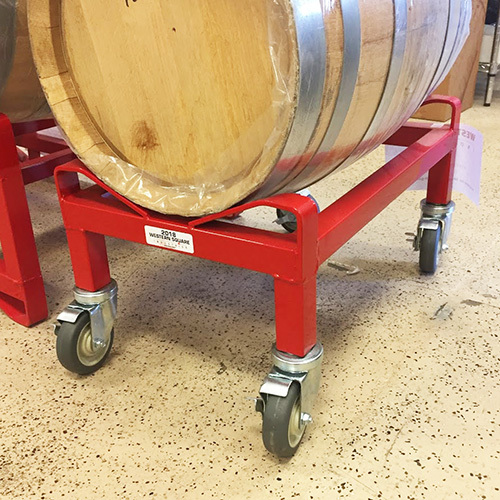 Our custom barrel racks are perfect for home winemakers and brewers who need to move full barrels around but don't have access to forklifts. Each rack has a tough enamel coating and heavy duty locking castors. 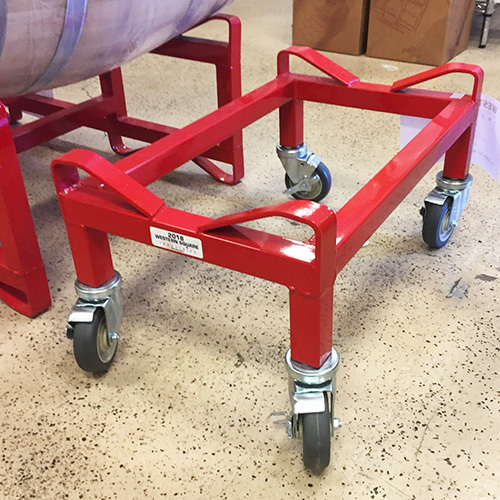 This rack makes it easy to move your barrel for filling, racking, or bottling. 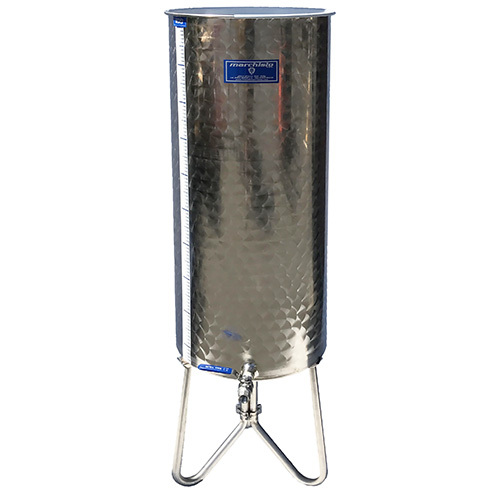 This model fits barrel sizes between 15 and 30 gallons. 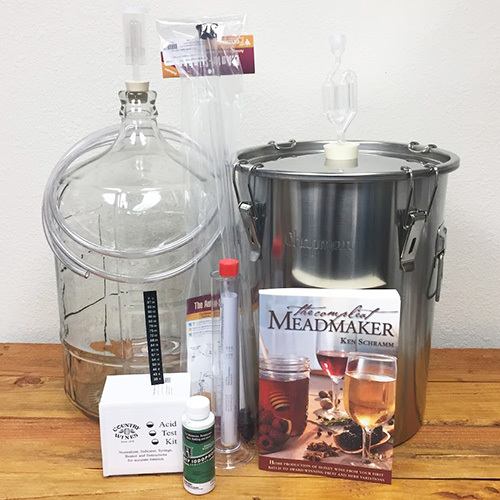 Shown with a 15 gallon barrel (not included).